WELCOME TO HEAD AND NECK ULTRASOUND. Our website is dedicated to enabling Endocrinologists and Head and Neck Surgeons to make educated decisions in their purchase of TOSHIBA ultrasound imaging systems for the practice, clinic, or medical department. 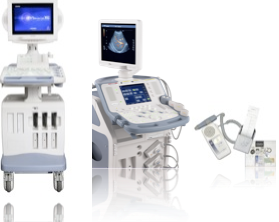 The ultrasound equipment from TOSHIBA is exceptional in terms of every attribute of note for endocrinologists and ENT physicians, including image quality, ease of use, connectivity, reliability, on-site support, and surprising affordability. Our sales professionals that support physicians before, during and after their acquisition of TOSHIBA ultrasound are experienced, professional, and dedicated to satisfying inservices and long term ownership. TOSHIBA America Medical Systems fields a service department of over 300 high trained service engineers who are available via the Service Toll Free number (1.800.521.1968) for on-site service at customer sites in case service is ever needed.